BlackwaterBLUE from monkster.com: Chelsea to enter race to sign Robin van Persie? Chelsea to enter race to sign Robin van Persie? Chelsea are reportedly considering making a shock bid for Arsenal captain Robin van Persie. The 28-year-old has been linked with a number of clubs across Europe in recent weeks as he continues to delay holding contract talks with the Gunners. Van Persie has less than two years left on his existing deal at the Emirates and last month revealed he had no plans to discuss a new contract until the end of the season. Arsenal manager Arsene Wenger last month said he was "confident" his skipper would sign a new contract despite the interest from rival clubs, but the club admitted today they would not be able to talk to Netherlands international about a new deal until the summer. The likes of Manchester City, Real Madrid, Inter Milan, Bayern Munich and Anzhi Makhachkala are all believed to be keen on signing the Dutchman next year, but Chelsea are the latest club to show interest in the forward. Andre Villas-Boas is thought to be keen on bringing in a new striker when the transfer window reopens. As well as seeing Fernando Torres continue to struggle to justify his £50million price tag, Villas-Boas has Didier Drogba, Nicolas Anelka and Salomon Kalou all in the final year of their contracts. And although the future looks bright with the likes of Daniel Sturridge and 18-year-old prospect Romelu Lukaku available, Villas-Boas is thought to want to bring in a experienced, world-class attacker to the club. 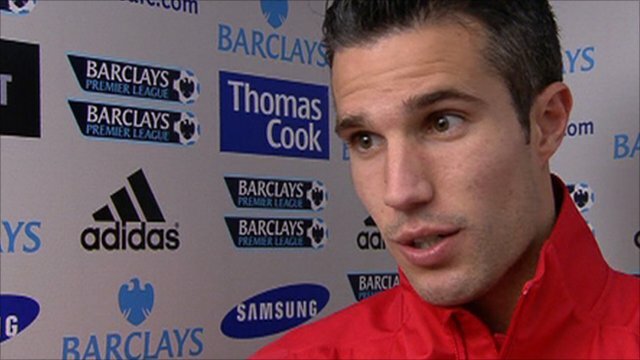 A move to Chelsea seems unlikely as Arsenal would hate to sell Van Persie to a rival club. 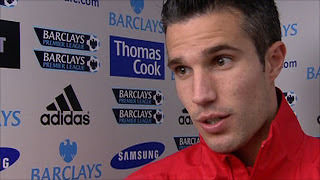 But although a January move to any club is not expected, it is widely thought that Van Persie will review Arsenal's ambition at the end of the season before making a decision on his future. And that could mean Arsenal need to at least qualify for next season's Champions League to avoid the possibility of yet another key player leaving the club following the departures of Cesc Fabregas and Samir Nasri during the last transfer window.